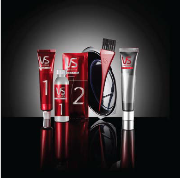 Vidal Sassoon presents NEW Vidal Sassoon Salonist™ – a revolutionary at-home hair colour system that is inspired by Sassoon’s colour artistry and gives women the tools and techniques that will elevate their home hair colour to an art form. By incorporating an exclusive two-step technique that treats roots and lengths separately, women can now master the art of rich colour with depth and tones. Speaking with women all over the world, we found that many who colour their hair at home are dissatisfied with their current results and often describe the outcome as ‘flat’ or ‘blocky’ with ‘off-tone brassy results.’ This is made worse over time by applying the same colour formula all over the hair. Despite less than a third[i] of women in the US being fully satisfied with their current home hair colour, they keep purchasing the same products because they believe there’s no alternative solution. Those days are now over, thanks to NEW Vidal Sassoon Salonist™ – this innovative product puts salon expertise into women’s hands allowing a truly dramatic colour result, every time. In salons, colourists know that an essential component of great hair colour is to treat the roots and the lengths of hair separately because new hair growth and previously coloured hair absorb colour differently. This proven salon technique is the foundation for rich hair colour, full of depth and tones. The colour formula in NEW Vidal Sassoon Salonist™ has been specifically created to give the perfect consistency for use with a brush and bowl – just as they do in the salon – so women can achieve a precise application at the roots. The exclusive two-step technique uses the science of rheology and an exclusive Vidal Sassoon Serum to change the hair colour formula into an easy to apply glaze, after the treatment of the roots, for a completely tailored colour performance. The result is hair colour full of dazzling depth and tones which is blended seamlessly from root to tip. 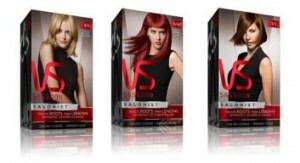 In a global study after using Vidal Sassoon Salonist™ for the first time, women immediately saw the benefits: 78% of consumers rated Vidal Sassoon Salonist™ as better or the best at-home colour they had ever tried. In an extended test where consumers used the product more than once, two out of three preferred Vidal Sassoon Salonist™ over their current brand. Vidal Sassoon Global Ambassador, Duffy, says, “The NEW Vidal Sassoon Salonist™ gives women the tools and techniques to create quality hair colour in the comfort of their own homes. NEW Vidal Sassoon Salonist™ comes in 24 shades from classic golden blondes and rich, natural looking browns, to intense, fashionable reds. I received a sample and what I like best is how easy it is to use! It also looks natural. What more could you want from a hair colour product? It is also much cheaper than going to the Salon! Vidal Sassoon was the original salon genius. He believed in eliminating the superfluous, and developed geometric styles that transformed haircutting into hair design. His iconic ‘wash and wear’ styles were designed to be effortlessly recreated at home, liberating women from the salon and changing the industry forever. Vidal was the first hairdresser to open salons worldwide and the first to create their own branded line of products. His legacy lives on through the Vidal Sassoon Academies and through the new Vidal Sassoon Salonist™ products which remain true to Vidal’s philosophy of providing high quality, accessible hair care. Self Disclosure: I received a free sample to facilitate this feature. Photo Credit: Vidal Sassoon.